I was recently whisked away to Mallorca for three days with my good friend Em and travel company On The Beach. When I was first told about the trip, I have to admit, I was a little apprehensive. The idea of going anywhere unfamiliar is always such a daunting thing for me but I do find tackling my fears head on helps me a lot so that's exactly what I decided to do. I can now say I'm SO pleased I bit the bullet and put my fears aside as I had the time of my life! I jumped on a train to London (and upgraded to first class for only £15 with Virgin - score) and met up with Em and Scarlett at Euston train station before we got the Gatwick Express to the airport. We then met up with the guys from On The Beach and headed to our gate for the short two hour flight to Mallorca. I usually hate flying but we were all so busy chatting that it passed by in what felt like five minutes! We got a private transfer from the airport to our hotel which was around 20 minutes away and that's when holiday mode really kicked in! 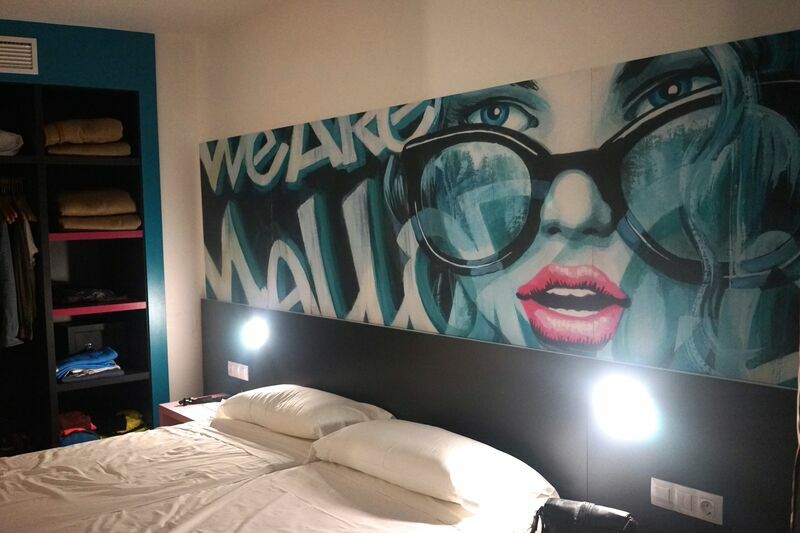 We stayed at the BH Mallorca hotel and when I found out it's only a stones throw from BCM night club and the famous magaluf 'strip', I was a little concerned. I went to Magaluf when I was 17 and just presumed it was for people of that age who wanted to party like crazy - not a nearly 25 year old who is used to lazing round a pool sipping cocktails on holiday. However, any worries were soon dismissed when we arrived as the hotel is fabulous - it's a 4 star with a welcoming reception area and everything is very clean and modern. There's a water park in the middle of the hotel (I know - SO COOL! ), and the rooms are set out in little blocks dotted around the complex. There's also two huge swimming pools, a jacuzzi and a wave pool. Everything you need for a fun filled day really. The rooms themselves were fairly basic but again, they were clean and modern. They had cool artwork and big TV's on the walls as well as lots of space for storing clothes. I was sharing a room with Em and we had plenty of space considering we both took SO much stuff with us .. That's bloggers for you haha. The lovely people from On The Beach had also stocked our room with sun tan lotion, sweets and champagne which was so lovely and thoughtful. 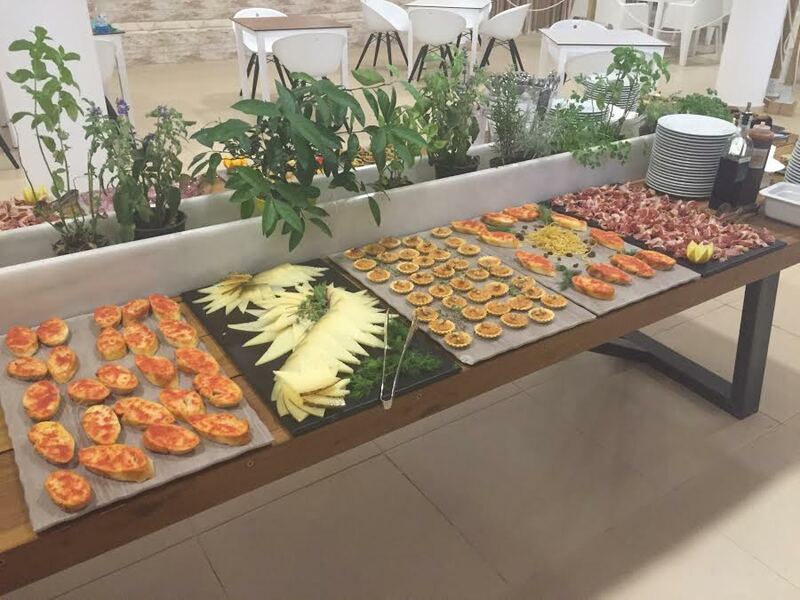 After we'd got changed into something more appropriate for the glorious Mallorca heat, we made our way to the hotels restaurant area where they'd put on the most lovely spread of welcome drinks and nibbles. The restaurant was absolutely lovely too with modern white tables placed around the room and cool artwork on the walls. I can't fault it! We were meant to be having a pretty quiet night after travelling all day but as soon as we got a few drinks down us, we decided to head to the strip considering it was only a five minute walk away. All I can say about that night is that it was EPIC. 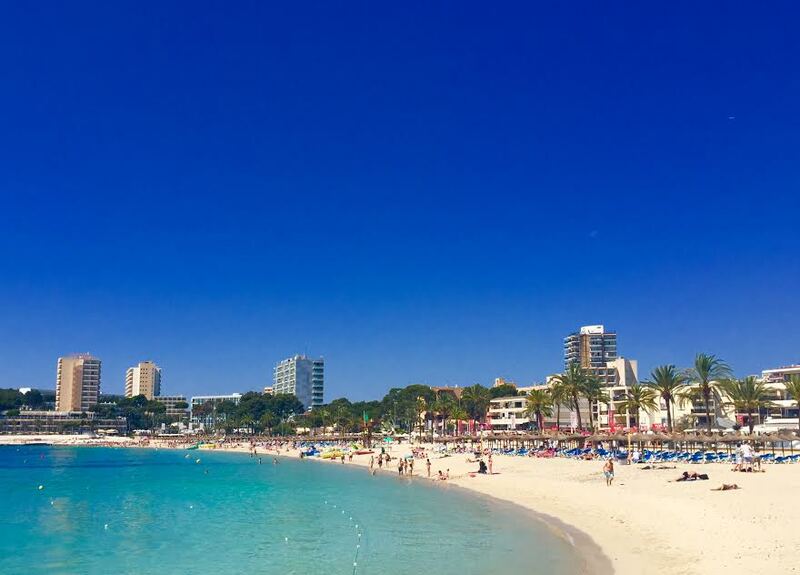 Anyone who thinks Magaluf is 'chavvy', 'rough' or 'dirty' is completely wrong. I'd describe it as fun, happy and chilled. We had the most fun ever and I'd honestly do it all over again in a flash - I loved it. On day two we woke with slightly sore heads from all the partying we did the night before but we had such a fun day planned so we soon got over it and got stuck into the day! After a nice full English breakfast at the all inclusive we walked down to the beach ready for a boat trip to show us around the beautiful island of Palma. We had such a great time on the boat - the weather was glorious and it was amazing to see all the beautiful views. We were also given the opportunity to jump off the boat into the sea so Em and I took full advantage of this and went for a refreshing dip. My overactive mind did worry a shark would creep up on me (I blame the film 'Into the Deep' for this haha) but the water was crystal clear and it felt so good to let go of my inhibitions and just go for it. After the boat trip we were taken to the most beautiful little beach for some lunch and a dip in the sea. 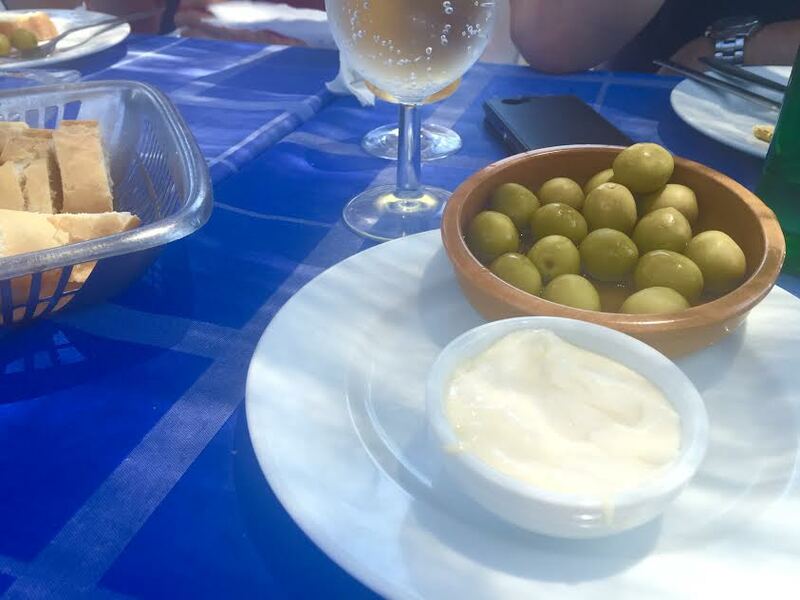 We nibbled on yummy food including bread with aioli, olives and paella washed down with some classic Spanish sangria. We then went to explore the beach and in true blogger style had an impromptu photo shoot on the rocks. The views were simply stunning! The water was a really vibrant turquoise blue and crystal clear - I didn't want to leave! 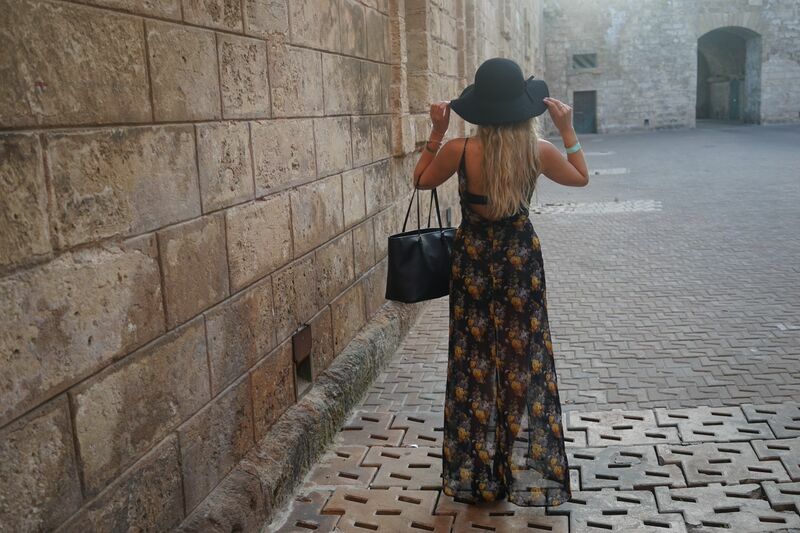 After all the fun from the day, we headed to Palma city to explore and it was such a beautiful place. The buildings were so gorgeous and it just had a great atmosphere about it. We made the most of all the beautiful back drops to take some outfit photos which may have involved doing an outfit change behind some bins. I know - absolute blogger problems. 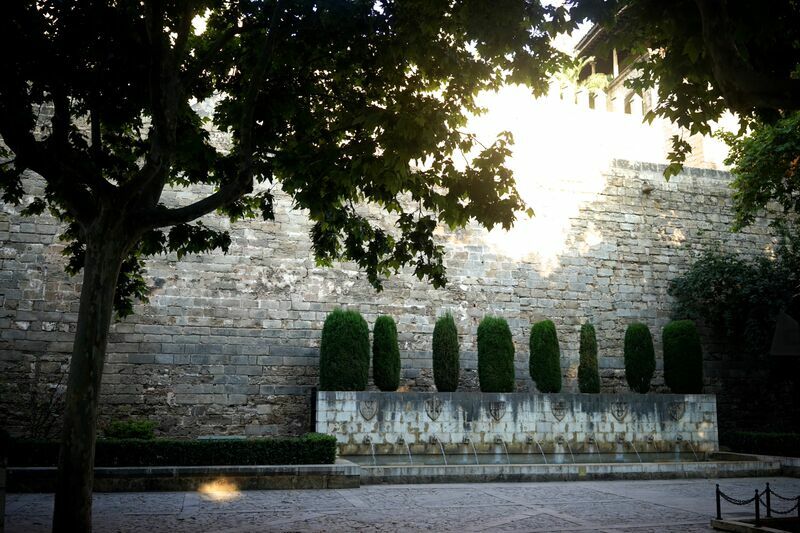 We were then taken to Illetas for a beautiful meal at Balneario Illetas - the most picturesque restaurant ever. Our table was overlooking the ocean and we watched the sunset as we sipped on wine and Spanish nibbles (as well as some delicious nachos) - it was perfect! I ordered a king prawn and monkfish kebab for my main and it was SO good - even if I couldn't finish it all. On day three we had a chill out day at the hotel so we could really get a feel for the experience it has to offer guests. Em and I has been eyeing up the white floating beds by the pool area from the moment we got there so we couldn't wait to get down on them and do a bit of sunbathing. 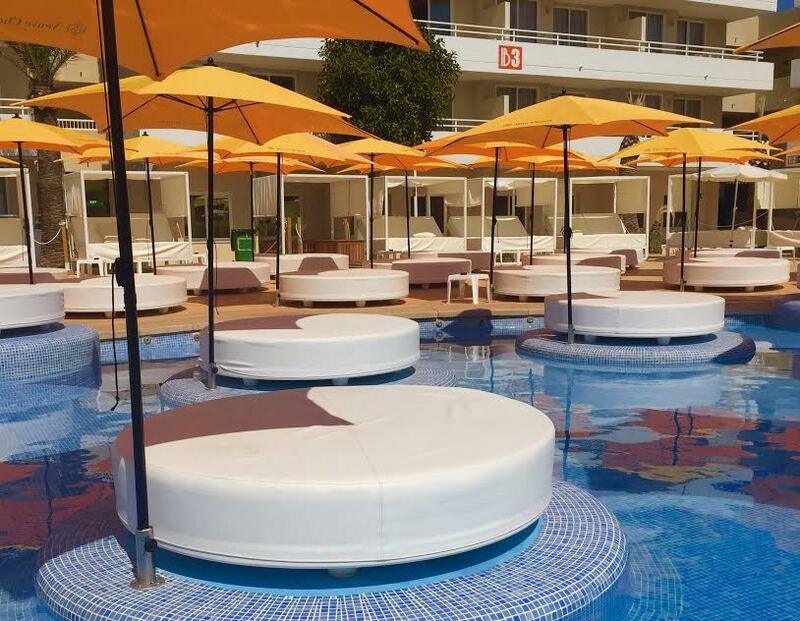 This area of the hotel is inspired by the 'ocean beach club' in Ibiza and it's an exclusive area you can pay extra to enjoy. It's 60 euros for the day and this includes a bottle of champagne which I think is a really good price - especially if you're in a group and dividing the cost between you. It's probably not something you'd do every day but it would be lovely to do on one of the days of your holiday to make it a bit more special. The atmosphere by the pool was amazing - it wasn't lary or too noisy but there was great music playing, a pool bar where you could get a whole selection of drinks included in the all inclusive deal and dancers with the most amazing bodies you've ever seen performing on podiums. I loved it - we met loads of really cool people and laughed and sipped champagne all afternoon. After lots of chilling out - it was time to hit the slides. It was SO cool that there was a water park in the hotel - I'm a total water baby so I was in my element. You don't need to pay extra to use this which is great and it means you'll definitely never be short of things to do during the day. I was slightly too scared to try some of the more crazy looking slides out but we had so much fun on the ones we did try. After dragging ourselves away from the white beds (seriously, we didn't want to leave! ), we headed back to our room to get ready for our final night - a Tinie Tempah show and VIP at BCM. 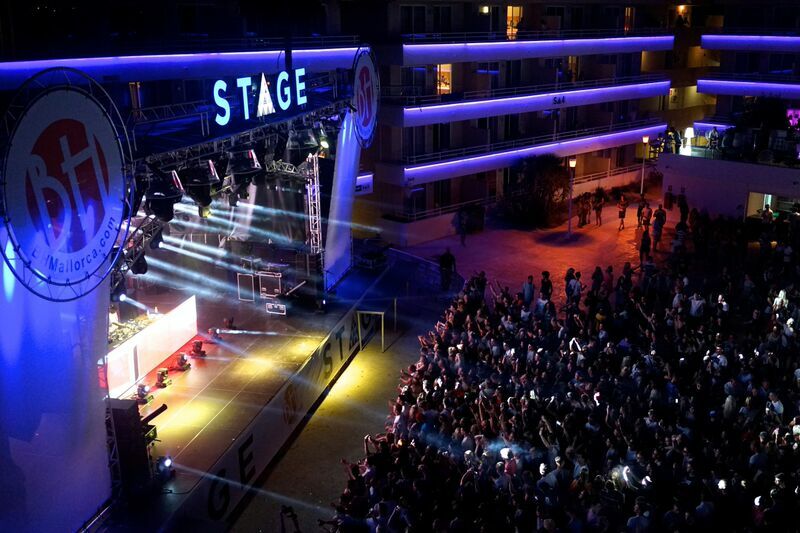 As well as the water park, the hotel also had a concert area where well known artists and DJ's play regularly throughout the week. We had a VIP view of the show and the atmosphere was crazy - everyone was so happy and singing along at the top of their voices. Tinie himself was awesome too - I've always been a fan of his music and we were all surprised by how many great catchy songs he's released over the years. After the concert we made our way across the road to BCM which is the biggest club in Mallorca. We had a VIP area again which was really lovely and the music was great! So that pretty much concludes the whole trip! I realise this post is really long but I could go on all day about what a great time I had. I want to do it all over again. I'd like to say a HUGE thank you to Jamie, Emily, Tanase and Karin from On The Beach for giving me this opportunity and being such great hosts for the three days. They're such a great team of people and we all bonded so well! I can't wait for a reunion night out! 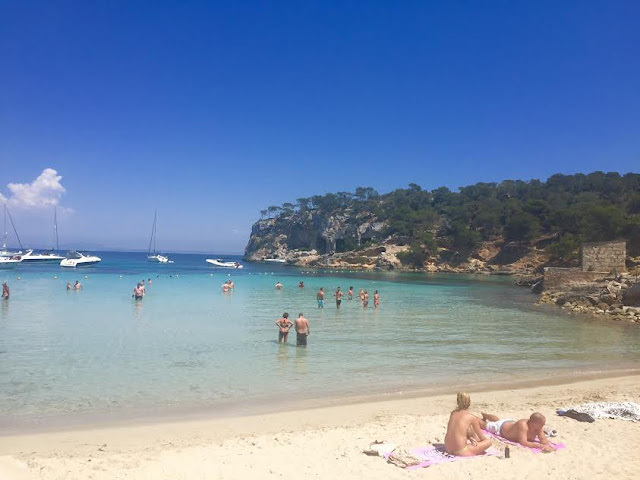 If you're interested in booking a holiday to Mallorca (or any other beach holiday for that matter), I'd highly recommend booking through On The Beach - they're really great. 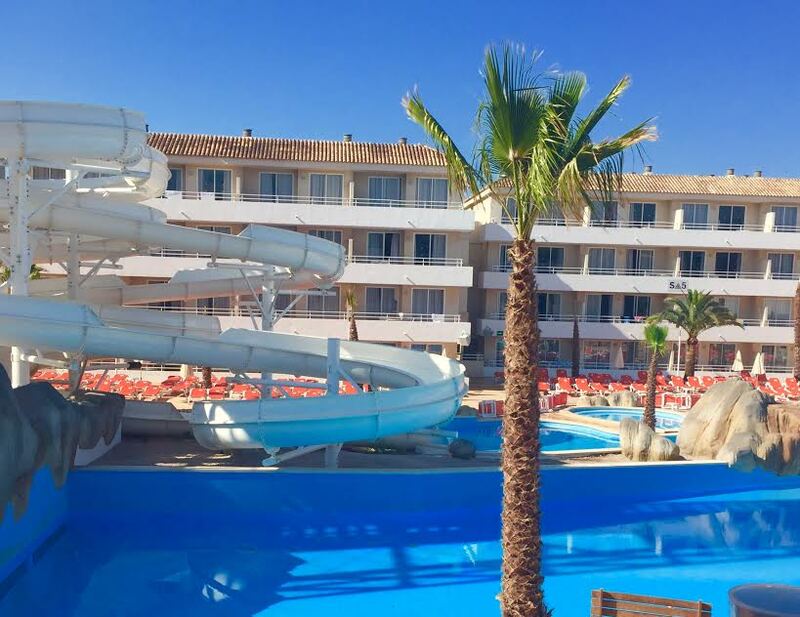 If you like the look of this trip, you can book a seven night all-inclusive stay at the BH Mallorca throughout the summer from only £397pp including return flights from airports across the UK. Book online at www.onthebeach.co.uk or call 0871 474 3000. Do you like the look of this place? Have you ever been to Mallorca?! Big thank you to Em for letting me use some of her photos in this post too! Lovely photos, so jealous right now I am really craving a holiday aha. A couple of my friends have just been to Mallorca and they loved it! 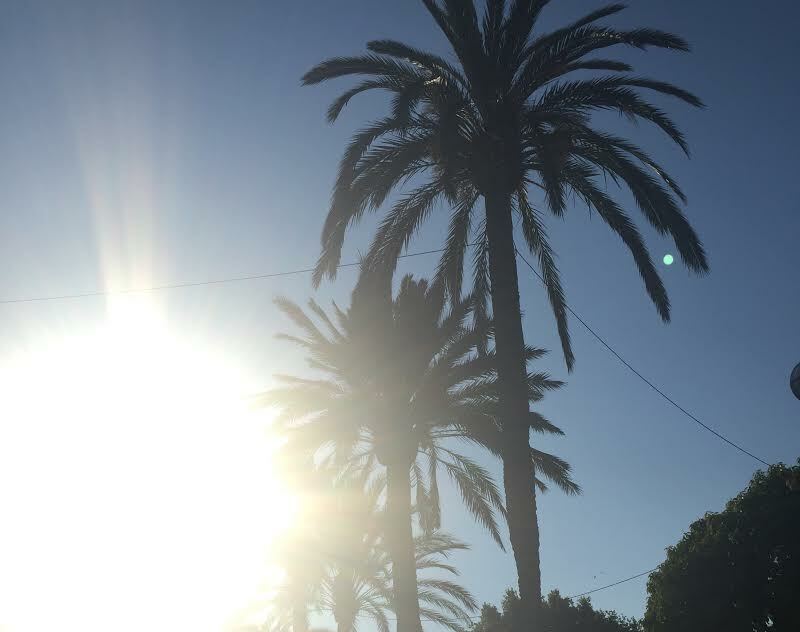 It looks gorgeous out there, my friend is going to mallorca next week and I'm so jealous! It looks like you had an amazing time, all your photos look stunning! 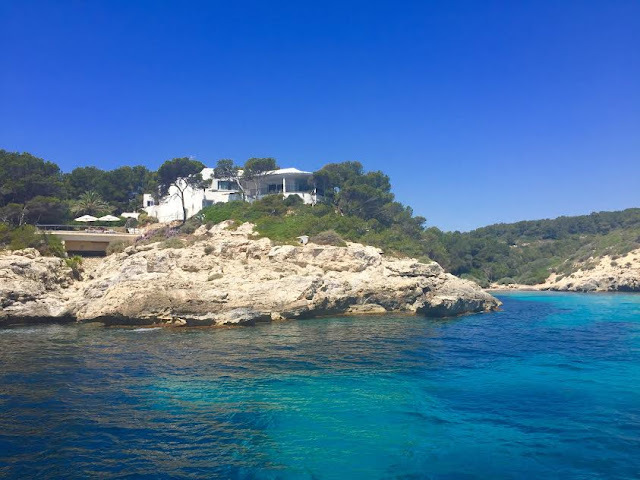 I was at Mallorca two years ago and if you liked it I really recommend you Menorca, I rather come back there than to Mallorca! Oh, you had a lot of fun there. I'm so happy for you. Pictures are amazing. Beautiful photos. I have such hair envy of you and your friends! All your photographs are so beautiful. This has gotten me so excited for going on holiday this year. Looks like a lovely trip and has definitely changed my opinion of the place! Loved reading this post as I'm going to Magaluf next week with the girls! Cant wait to experience BCM! Aww it looks amazing hun! wow I love your photos. You look so stylish. Mallorca is so beautiful, it was the first place I visited on my first holiday abroad. I don't doubt that you had a lovely time! But I would NOT recommend on the beach to anyone. I have just come back from a budget holiday to Portugal with my boyfriend. On the beach didn't pay easyjet for our return flights even though I booked it with them and paid the full amount for the flights months before. When we got to the airport to come home and showed our on the beach flight voucher, we were told we weren't on the flight. I rang on the beach and was on hold for 45 minutes, by which point I had to hang up and decide to pay the last minute costs to get on that flight (we had to get home). That cost me nearly £300, when I had only agreed to pay on the beach £70 for our flights. On returning home, no one from the company has been able to help me or refund me, despite this being completely their fault. I am absolutely appalled and devastated, I can't afford to lose that money. 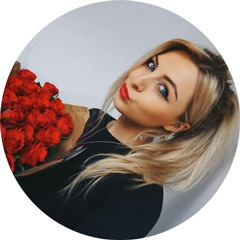 Congratulations for the Post My Dear New Friend Kayleigh : Fantastic Photos , Inspirated Words , Marvelous Locations and Last ( But Not Least ) a Group of Nice Girls ( Give My Regards to Em Sheldon , a Nice Friend ). Have Magic Moments , Lots of Luck !!! 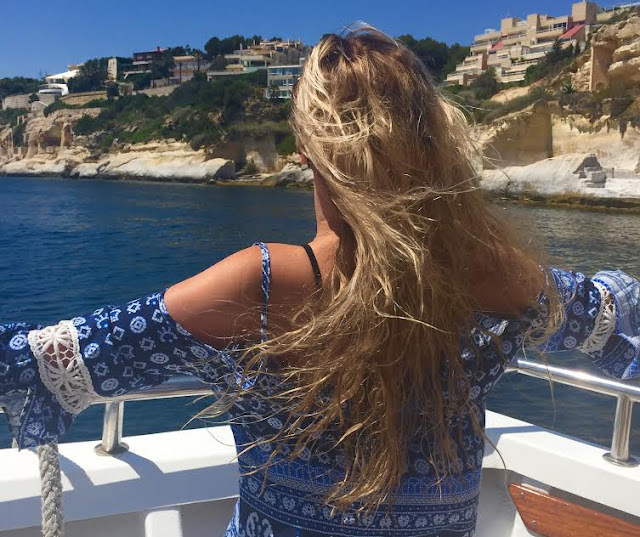 Toni & Guy Summer Essentials + GIVEAWAY!